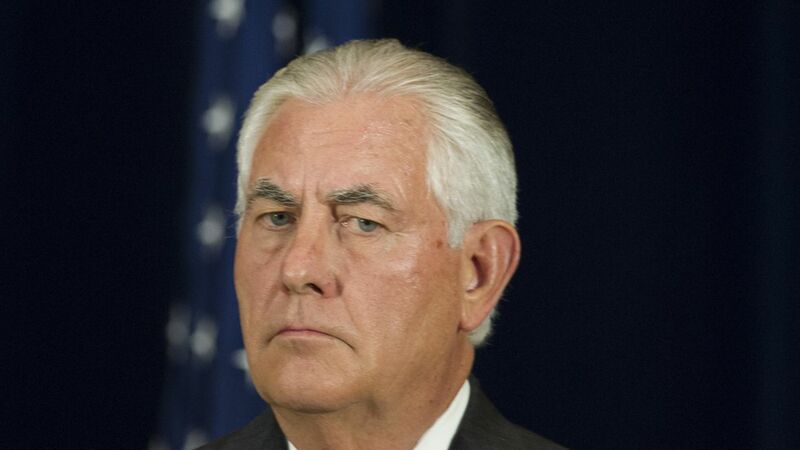 Secretary of State Rex Tillerson traveled to the Gulf region Monday in hopes of resolving the diplomatic crisis which has seen a Saudi-led bloc of nations boycott Qatar and accuse the country of supporting terrorist activity. Tillerson's trip comes after Qatar rejected a list of 13 demands — including calls to shut down Al Jazeera and loosen ties with Iran — from its neighbors. Why it matters: One month in, the Qatar crisis shows no signs of resolution. The blockade is pushing Qatar even closer to Iran and Turkey, both of which have flown in food and resources. The United States has a stake in the crisis with major military bases in Qatar, including its Central Command headquarters, which controls all operations in Afghanistan and the Middle East. The list of demands was voided last week after Qatar rejected them and its neighbors said they would continue their boycott. In a statement, the Saudi-led coalition said Qatar's move reflected its "intention to continue its policy aimed at destabilizing security of the region." Qatar has denied allegations that it supports regional terrorist groups. Tillerson wants to help the sides reach a new compromise. Qatar has $340 billion in reserves to handle the economic strain of the blockade, Abdullah Saud Al-Thani, the governor of the nation's central bank, told CNBC. But they're seeking compensation, reports Al Jazeera, Qatar's state-run media company. Qatar has formed a Compensation Claims Committee to follow-through on requests for billions in damages from the blockade. One of the companies asking for money is Qatar Airways.